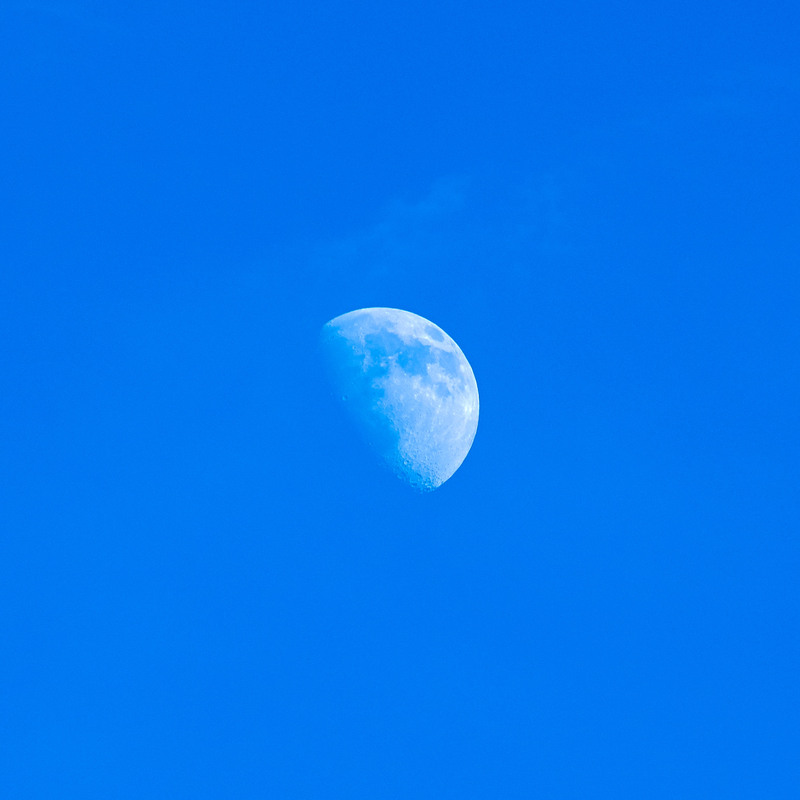 The other afternoon I was out in the yard and noticed that the moon was up and bright. Since I’ve been getting to know the 50-200mm zoom lens I recently bought, I went ahead and took a couple of quick shots. This entry was posted in Uncategorized on September 4, 2014 by Phil Ryan.